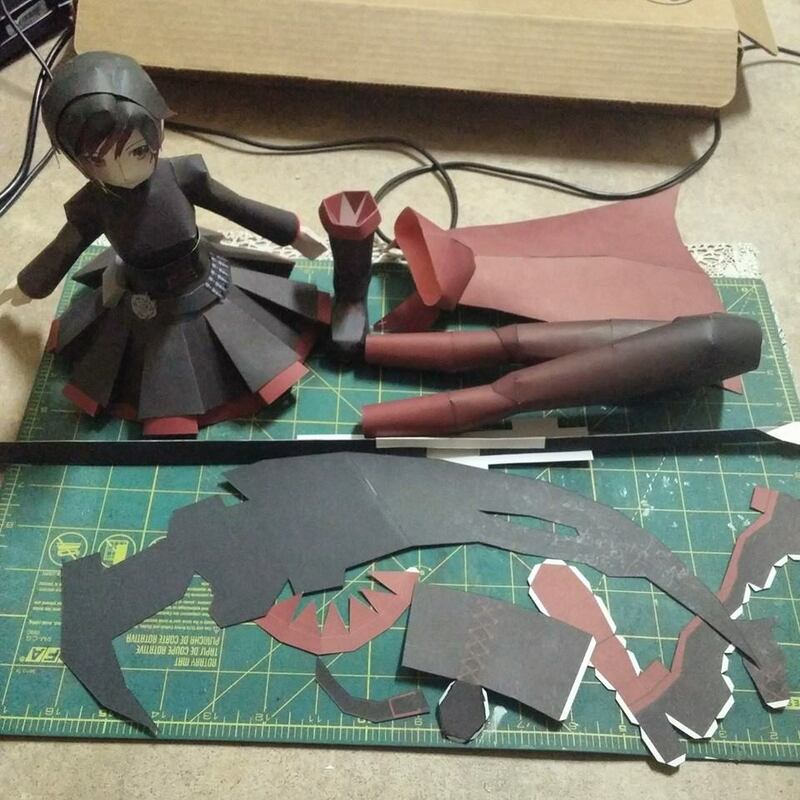 The Neon Neuron Blog: RWBY Ruby Rose Papercraft Finished! After hours and hours of intensive work. From head to boot, what a FANTASTIC model! The pictures hardly do her justice, she is definitely something that must be seen in person to be truly appreciated. The difficulty level is moderate - high. Not to many intricate parts, but some very intricate folds which give Ruby a nice continuous shape. 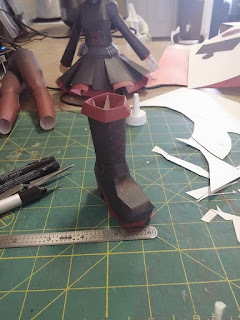 The most difficult being her hands, followed by her boots. 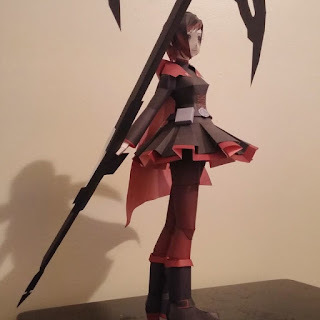 Ruby's scythe was the easiest thing to assemble, being its simply a silhouette, but really brings the whole model together. In the end she ended up being approximately 42 cm tall and definitely the largest model I have built yet. 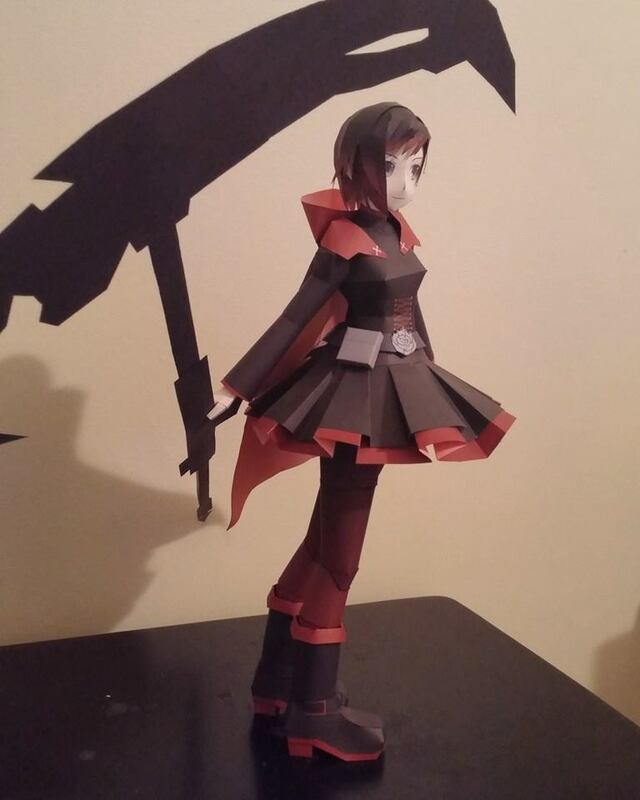 My favorite part has got be Ruby's skirt. If I had to do it again, I wouldn't have scored it so heavily, and let the creases roll more than fold to give it a more natural look. But, even as they are now, I'm still impressed by them. Her hair looks pretty rad, too! You can see, I painted the back of her hood and under her skirt with a light red watercolor. 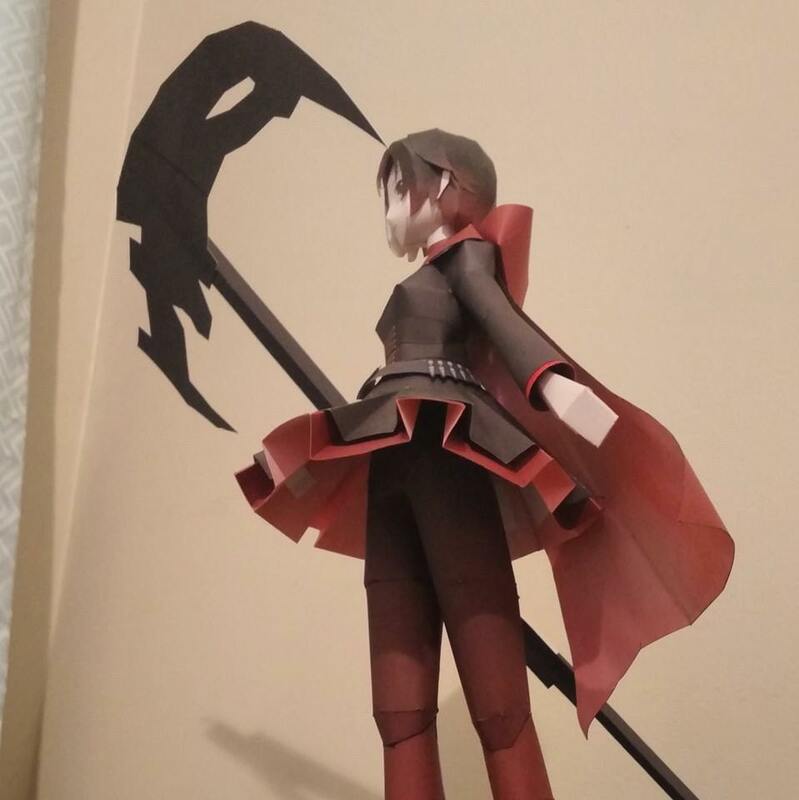 I was actually surprised how big her scythe turned out to be. I walked around the house swinging it for awhile. 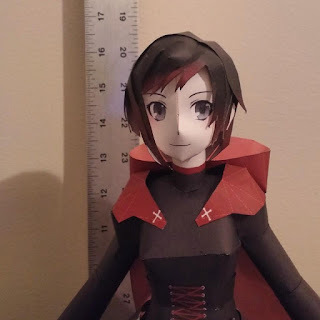 I added extra support on the back to keep it from curling. 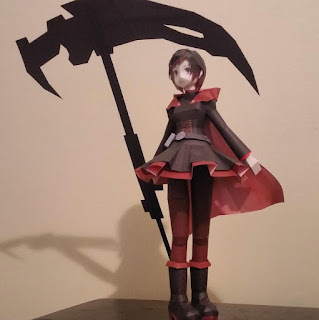 Another thing that astonished me, she was very capable of holding the scythe. 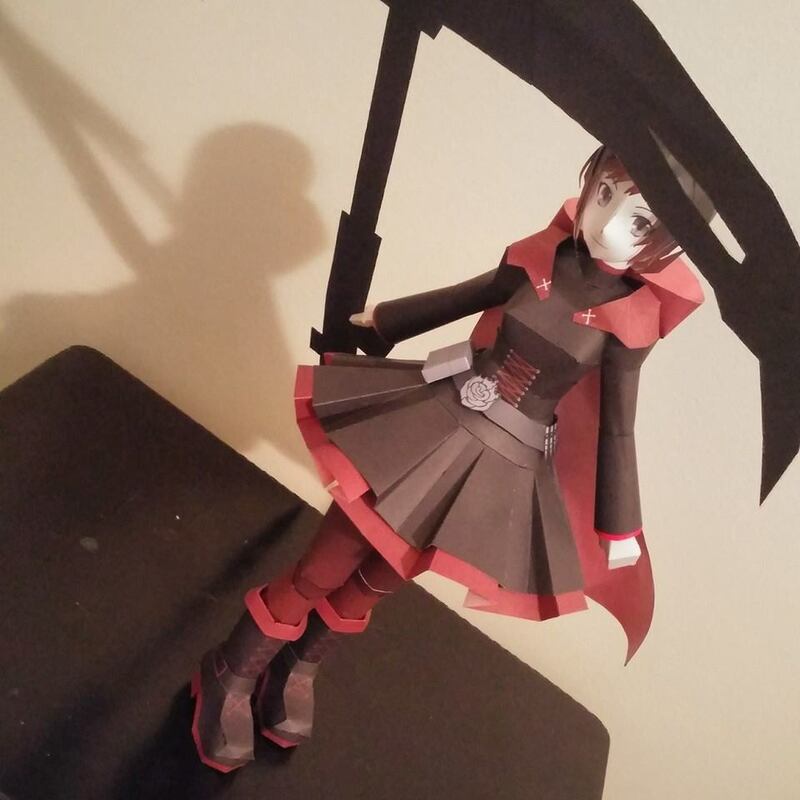 Ruby actually held the scythe on her own, no glue or tape! And a very special thanks to S.V. 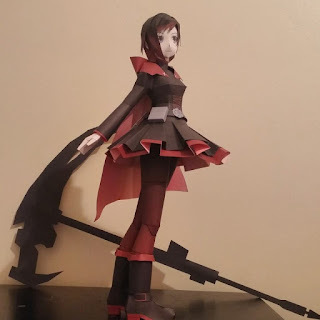 for an awesome papercraft!